Lee Khim Fatt doesn't sleep in his bed anymore. Instead, he sleeps on the floor next to it. "It doesn't feel the same, doesn't feel right sleeping on the mattress without her beside me," he said. Fatt's wife, Foong Wai Yueng, 40, was a stewardess aboard Malaysia Airlines Flight 370, which went off course and vanished March 8, 2014, on its way from Kuala Lumpur to Beijing. One year later, relatives of the 239 people aboard still have no idea what happened to them. Without evidence that the plane crashed, it's hard for family members to begin grieving and start to find closure, psychologists say. In the meanwhile, the grief, hope, anger — all the emotions they feel — are often wrapped up in the things the missing left behind — their clothes, their rooms, the smallest things. Patrick Gomes' shorts are still right where he left them a year ago, draped over the left corner of his bed frame. 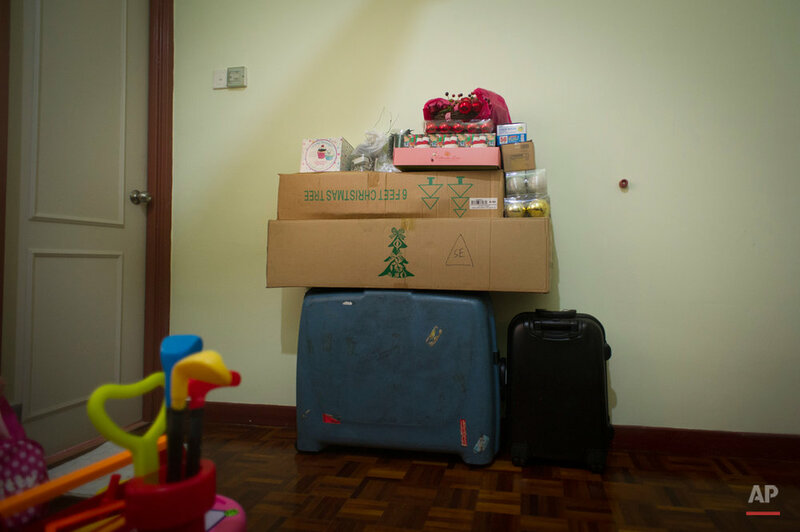 Elaine Chew has left no marks on her daughter's makeshift growth chart, saying her husband, flight attendant David Tan Size Hiang, can do it when he finally comes home. "I'm not going to change or move anything, just let it be the way it is," Fatt said of a wardrobe filled with his wife's uniforms and other belongings. "I believe she will come home, and things will be just how it was before." 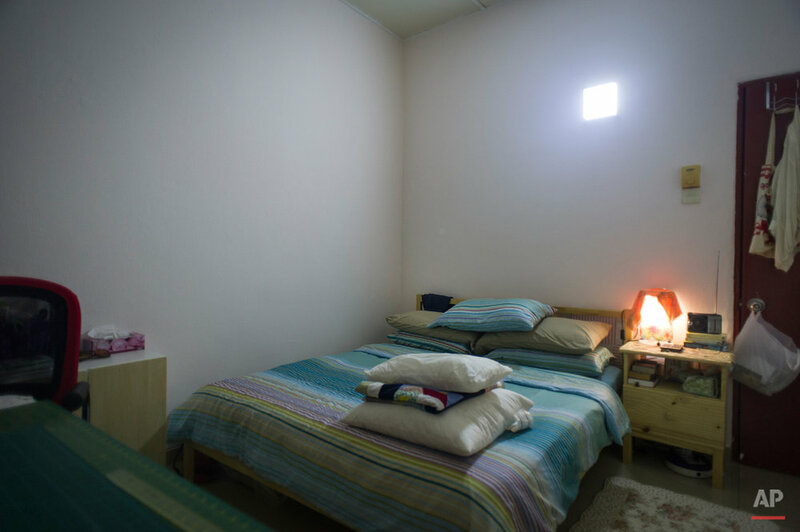 Below is a photo essay by Joshua Paul documenting rooms left behind from the missing passengers who were aboard Malaysia Airlines Flight 370. Text from the AP news story, Items Flight 370 missing left behind full of meaning for kin, by Joshua Paul.